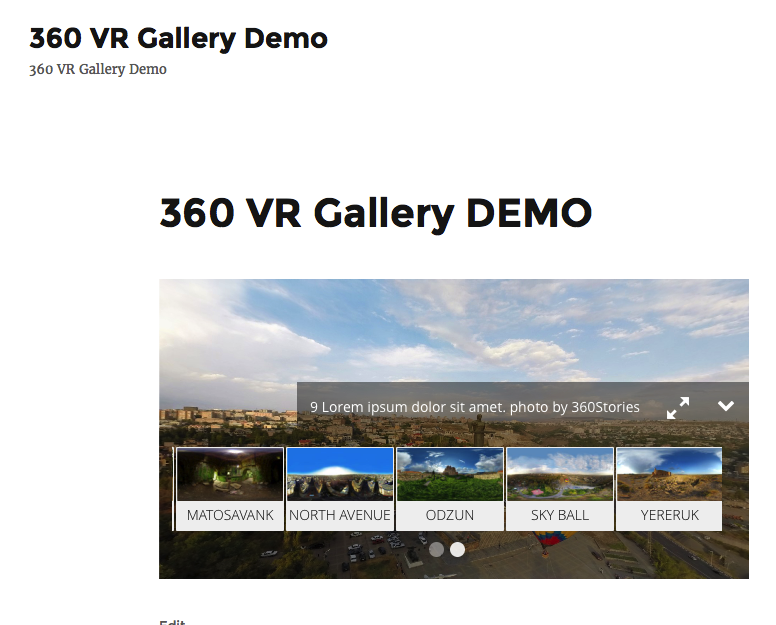 The 360 VR Gallery is a mobile ready responsive Wordpress plugin for displaying 360 degree virtual tours directly in the Browser. Now there is no need to segregate the 6 side of panoramic photo. Using 360 VR Gallery you can use just One 360×180 panoramic photo for making a virtual tour. 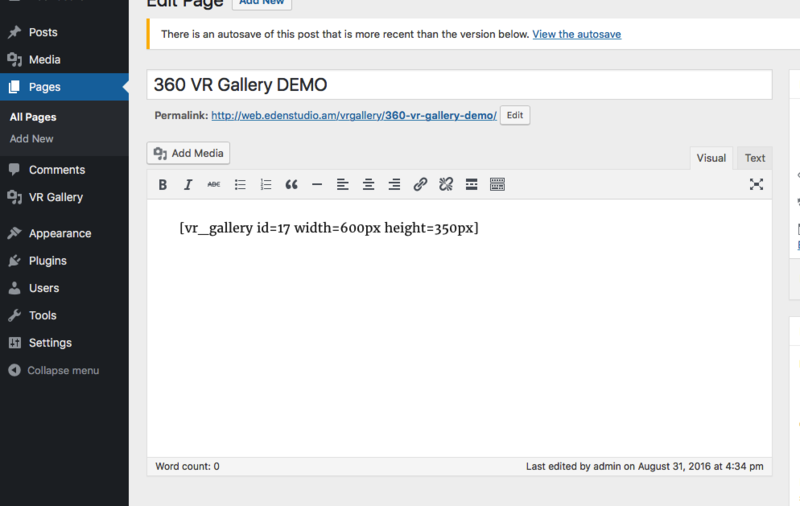 360 VR Gallery is simple to use. 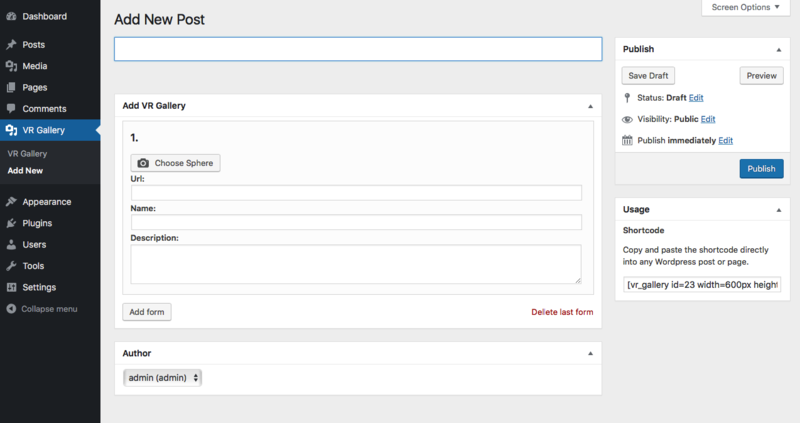 You just need to install the plugin to your website, crate VR Gallery, and past the shortcode directly into any Wordpress post or page. You don’t need to have advanced programming knowledge for making a Virtual Tour. This script tested on all modern browsers, android and iOS devices. 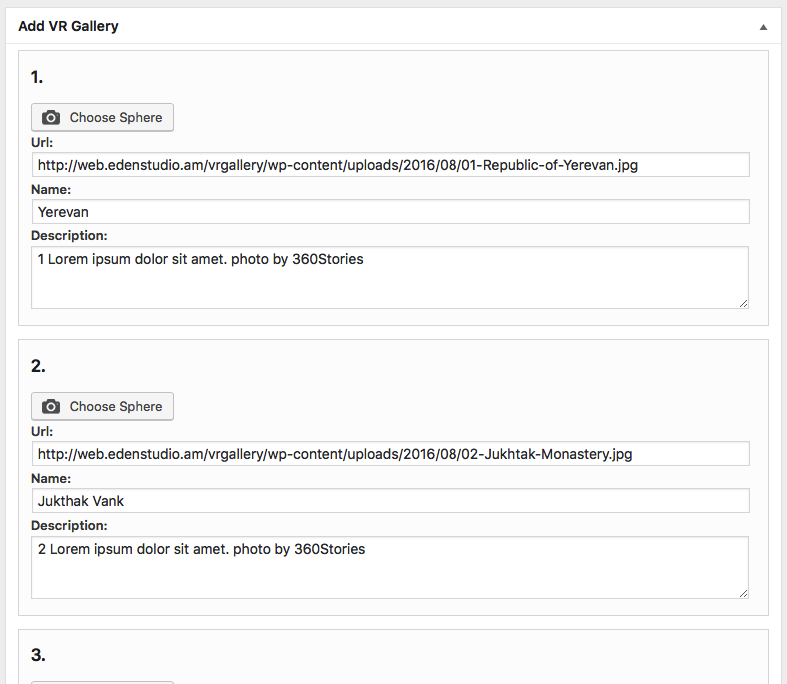 Works well on all devices and screen sizes.